Club Awesome was well-represented at this year’s District 47 fall conference. Here are a few photos from a jam-packed Saturday that featured contests, workshops, meetings, and more. 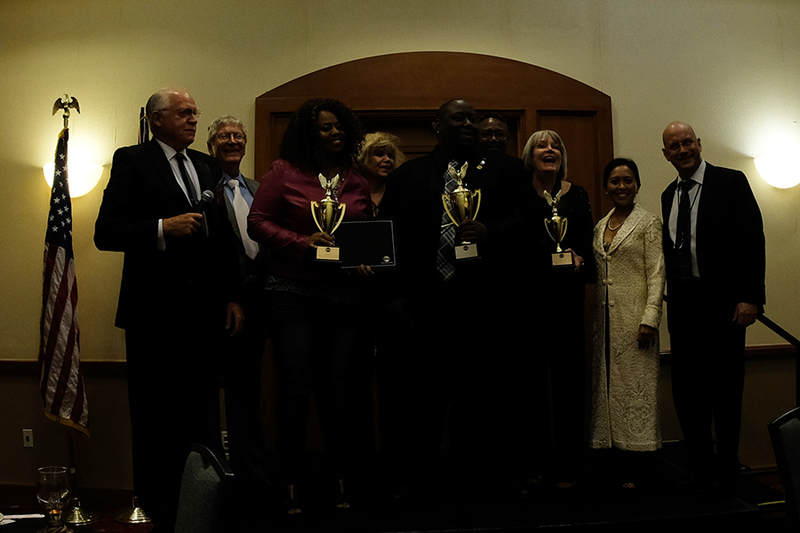 All eyes were on Marilyn Brown as she competed in the finals of the humorous speech contest. Here’s Marilyn posing with her third-place trophy alongside the other contestants. Finally, my personal favorite shot of the weekend came when several of our members gathered together. Fortunately for the cameras, this photo opportunity took place in the scenic, well-lit lobby of the conference venue. 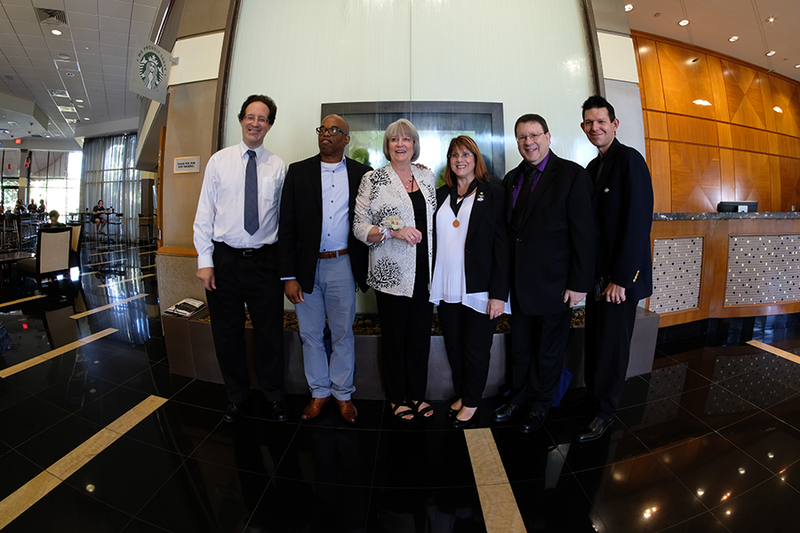 The occasion for the gathering was to further congratulate Marilyn on her Distinguished Toastmaster (DTM) designation, the highest award earned through the Toastmasters education program. It was an Awesome weekend for our club. We are already looking forward to the spring conference in 2018. In the meantime, come join the fun in our weekly meetings. 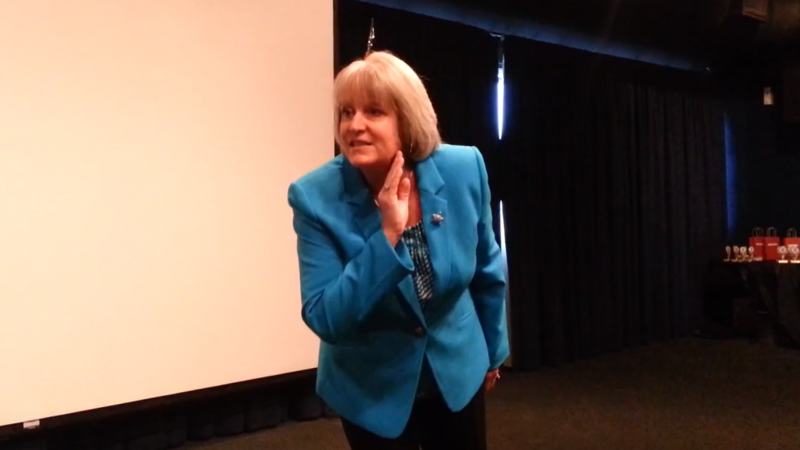 Club Awesome Toastmasters is proud to be represented by Marilyn Brown in the 2017 humorous speech contest finals. On her journey to the finals, Marilyn has competed alongside top humorists at the club, area, and division levels. She placed first in each of three contest to date. In the finals, Marilyn will be up against the very best speakers from District 47, which spans South Florida and The Bahamas. What Does a Winning Evaluation Look Like? On October 14, 2017, Club Awesome’s John M. Quick provided a test speech for the Area 21 evaluation contest. The purpose of the test speech is to give the competing evaluators material to work with. Each evaluator in the competition sees the test speech, then individually provides an evaluation. The best performing evaluator, as scored by a panel of top-secret judges, is declared the winner. Let’s see this process in action. Here is a video of John’s test speech, followed by the top-scoring evaluation. 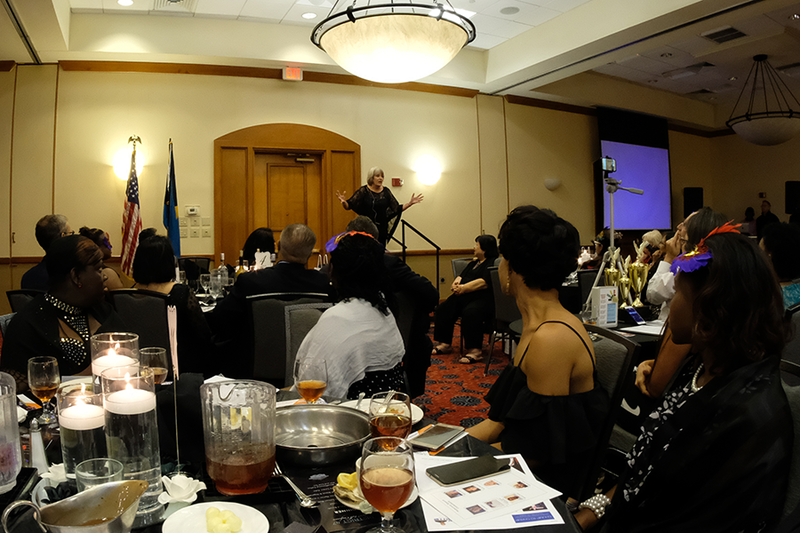 The District 47 Toastmasters Fall Conference 2017 details have been announced. Our own Marilyn Brown will compete for the District 47 championship in the humorous speech contest. In addition, several Club Awesome members will be in attendance this year. We look forward to learning, networking, and enjoying the entertainment along with you. Early registration ends November 6. Purchase tickets online. A special hotel rate is available at the DoubleTree, where the conference takes place, through November 6. Book your room online. For additional details on the conference, see the District 47 website. Come see Club Awesome’s Marilyn Brown (humor) and Brian Mikosz (evaluation) compete with the club contest winners from Areas 20 and 21 on Saturday, October 14, 2017. It will be an opportunity to see excellent humorous presentations and evaluations, as well as support the Toastmasters community. Time: 8:00 a.m. to 12:00 p.m.
A large part of the value of Toastmasters comes from getting immediate feedback on your speeches and presentations. This is a peer-to-peer model for education and self improvement, where members work hard at learning how to teach what they have learned in the program. Giving good evaluations is an art of its own, and Club Awesome is lucky to have as one of its members Dorrette Keen. Just this past weekend, Dorrette won an evaluations contest at an area event where our members were competing against representatives of four other clubs. To give a great evaluation, you first need a speech to evaluate. Jay Jawitz came to the contest not as a competitor but to give the “test speech” for the evaluators to evaluate. As a benefit of playing this role, he got to hear a variety of perspectives on a single speech. “I got a lot out of my evaluations,” he says. “I learned that I could have strengthened my beginning and conclusion. I realize that I could prepare my speeches in the future a lot better.” By reviewing the video, he also got a chance to evaluate himself, finding more things he wanted to improve. Dorrette and Jay both gave permission to share the video of their performances, so you can understand the kind of feedback you can expect in Toastmasters. The ideal is to give just the right mix of positive feedback and suggestions for improvement. Jay’s speech was about learning to let go of the unnecessary “drama” in life. Dorrette will be going on to the next level of competition, and if she wins again will represent our club at the level of the district (South Florida and The Bahamas). Most importantly, she gives quality evaluations on a weekly basis to new members and experienced ones at Club Awesome. We’re all better for it. Congratulations to the winners of our Club Awesome speech contest, Marilyn Brown 1st prize and Freddie Barber, 2nd prize. 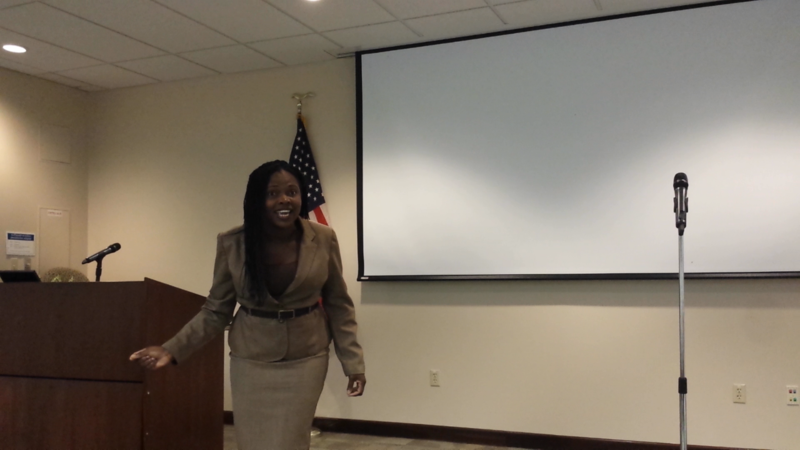 These videos are from our January 11 speech contest. David Carr and Michael Dill placed first and second, and they will represent the club at the upcoming area contest, Feb. 2 at the Northwest Regional Library. The best thing about this contest is everyone demonstrated growth and improvement, in keeping with the awesomeness of our club. 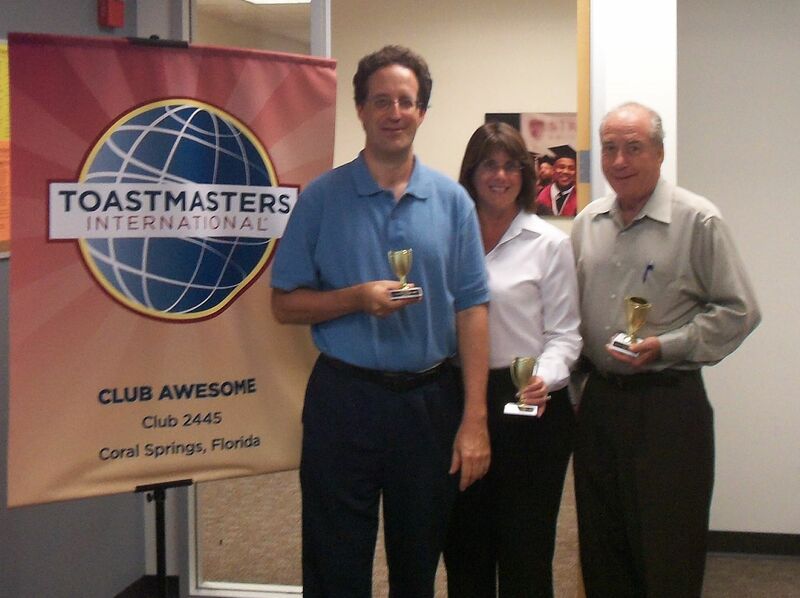 Club Awesome Toastmasters continued to prove its awesomeness this summer with a strong showing at the Area Contest, where top speakers from our club picked up 3 out of 4 possible first and second place awards in the competitions for humorous speech and evaluation. At an August 2012 Area Contest with participants from 4 other clubs, Club Awesome's Bruce Goldfarb (right) won 1st place for humorous speech, Lois Margolin (center) won 1st place in the evaluation contest, and David Carr (left) won 2nd place for humorous speech. Bruce Goldfarb won first place for humorous speech with “My Plants, My Friends” and David Carr won second place in that contest for “Mr. Bunyan Goes to Washington.” You can see a rehearsal version of each of their speeches in these videos. Lois Margolin won first place in the evaluation contest, where Toastmasters compete to give the best evaluation of the same test speech. Because an evaluation is also a sort of speech, the challenge is to prepare a well-organized short speech very quickly. Club Mission: We provide a supportive and positive learning experience in which members are empowered to develop communication and leadership skills, resulting in greater self-confidence and personal growth.